Friday night football resulted in a good start to the weekend for Connah’s Quay Nomads FC. 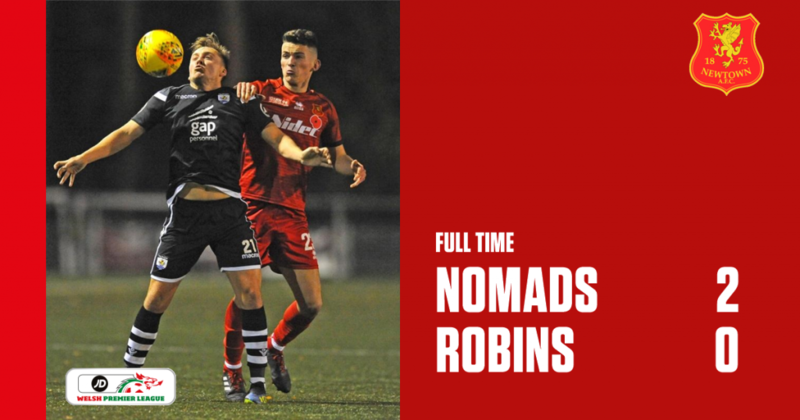 A first half goal from the Nomads skipper of George Horan before Michael Bakare doubled the lead for the hosts was enough to defeat the Robins. 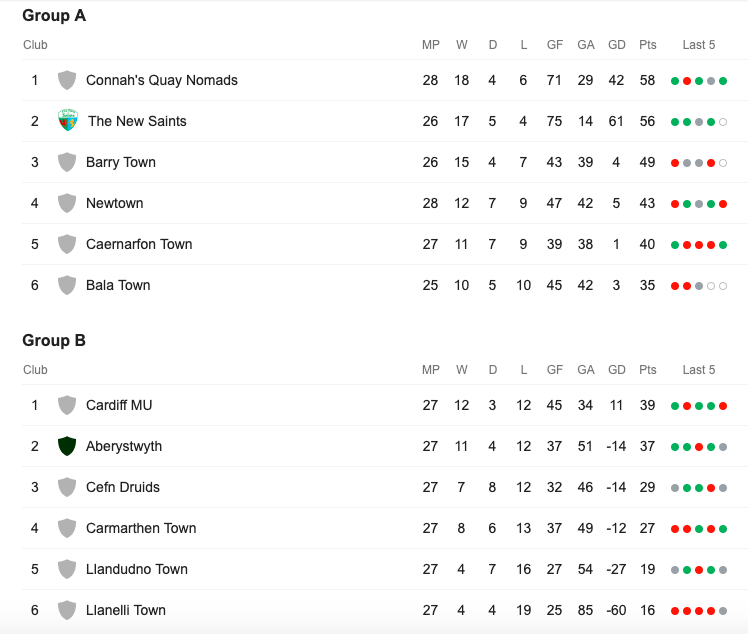 The Friday night defeat for Newtown keeps us six points behind Barry Town United in the JD Welsh Premier League table, leaving them with two games in hand. 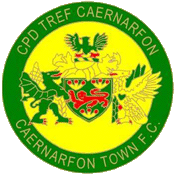 Caernarfon Town are three points behind the Robins who have a game in hand. 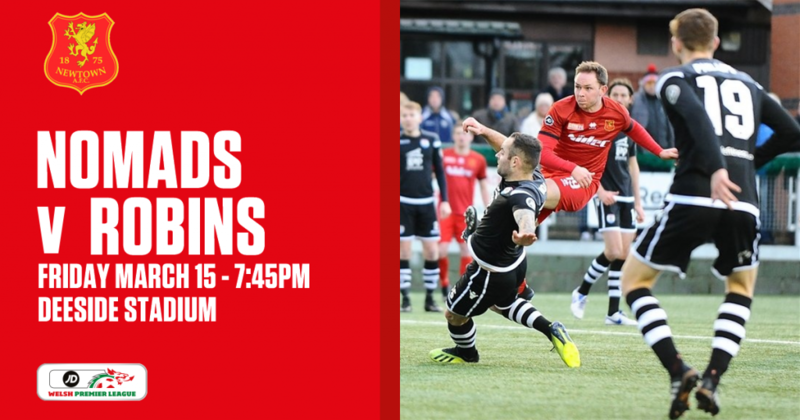 Deeside Stadium is arguably one of the most difficult away grounds on the Welsh Premier League calendar as the Nomads are currently fighting for their first success of the league title. 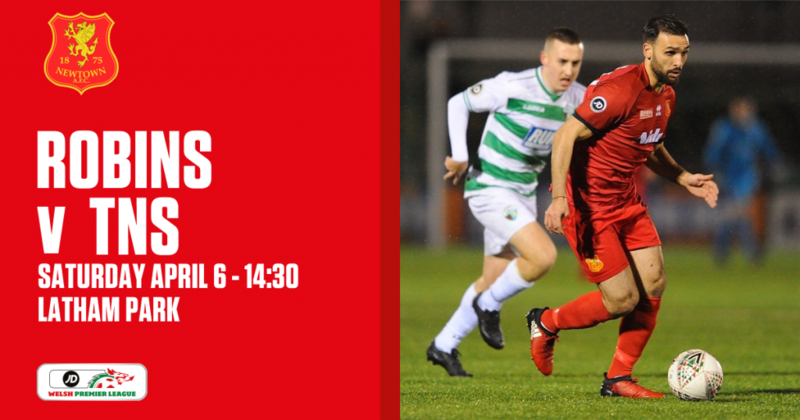 The hosts knew anything less than a victory on Friday night would be no exception as they try to close the gap on The New Saints at the top of the tree. Newtown’s spirits were high before kick-off after what was a convincing win against 3rd place Barry Town. The Nomads started off well after just six minutes which involved a goal line clearance from George Hughes, who is on loan from Shrewsbury Town, after a close range kick from Priestley Farquharson. It didn’t take long for the hosts to take the lead. 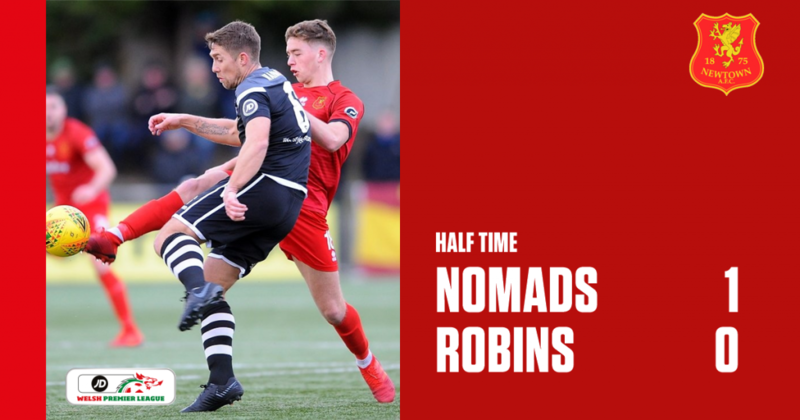 Only 11 minutes passed by and George Horan, the Nomads skipper, headed his side into the lead after converting from Andrew Owens’ quite astonishing long throw-in – something Rory Delap would be proud of. Just two minutes shy from the game becoming 20 minutes old and the Nomads looked hungry to stretch the lead when Callum Morris’ effort is blocked which looked to be on target before the deflection. A corner was given to the hosts which then had to be well saved and punched away from Newtown goalkeeper, Dave Jones. Adam Barton causing the danger with his strong header at Newtown’s goal. Nine minutes later and Dave Jones was at the scene again in between the sticks, as his right hand proved to be a strong one after denying a well taken volleyed shot at Newtown’s goal. Just before half time and Owens was causing trouble again for the visitors as he took a short range effort that luckily for Newtown, the ball took a deflection off the target. The second half looked to show more of Newtown’s tactics, as the squad looked to be approaching some counter attacking. 13 minutes into the second half and Joe Kenton, who was unfortunate not to get a goal from last week’s game against Barry Town, found himself in the wrong position by being called offside despite a promising attack from Newtown. Then three minutes later and Alex Fletcher got his shot on target thanks to the pass from Kenton but comfortably saved by John Danby. Newtown were starting to get more of a grip of the game. With quarter of an hour left on the clock, captain Craig Williams was awarded a free kick from the edge of the area. His last few games has shown how dangerous Williams is with set pieces. But this time, Williams’ effort flew a whisker over the crossbar. It was just not looking to be Newtown’s night. Despite the triple substitution move from Chris Hughes and his management staff, it wouldn’t be enough to get a goal back in the game. Former Wrexham forward Michael Bakare volleyed in the match equaliser. Connah’s Quay Nomads FC: 1. John Danby (GK); 5. George Horan (C), 15. Danny Holmes, 18. Priestley Farquharson, 7. Ryan Wignall, 14. Adam Barton, 16. James Owen, 17. Michael Parker, 8. Callum Morris, 22. Michael Bakare, 10. Andrew Owens. Substitutes: 24. Connor Harwood, 25. Dominic Elsey-Mchugh, 21. Rob Hughes, 2. John Disney, 4. Jonny Spittle, 12. Declan Poole, 19. Jake Phillips. Newtown AFC: 1. Dave Jones (GK); 19. Craig Williams (C), 26. Sam Barnes, 5. Kieran Mills-Evans, 3. Callum Roberts, 6. Jay Denny, 18. George Hughes (17. Sam Phillips 77′), 23. Alex Fletcher, 32. Porya Ahmadi (9. Luke Boundford 77′), 11. Joe Kenton, 8. Nick Rushton. Substitutes: 9. Luke Boundford, 10. Steve Leslie, 17. Sam Phillips, 13. Jack Perry (GK), 25. Will Evans.